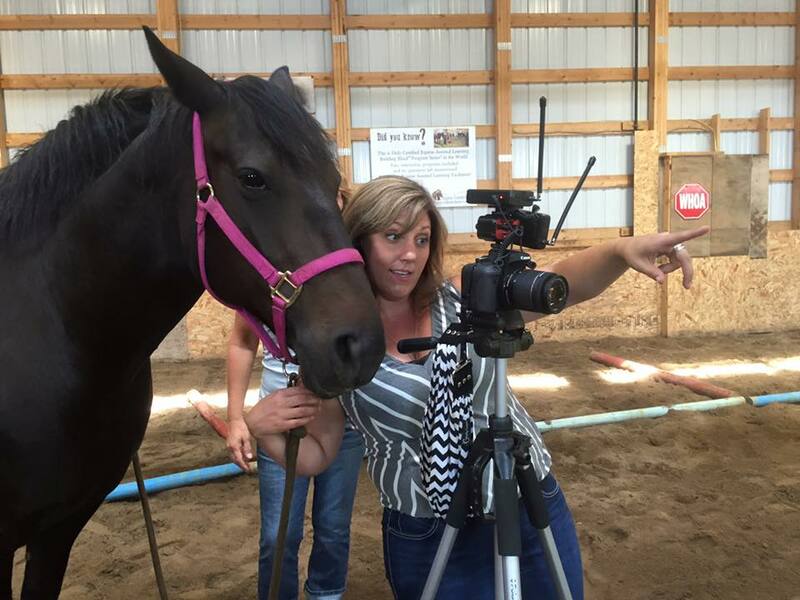 Owner and Senior Facilitator of Spiritual Equine Connection, Kari Fulmek nearly gave up on her dream of running an Equine Assisted Learning (EAL) program after a year of trials and tribulations. This is a story of an amazing horse that has beaten so many odds to come be a part of our EAL program. EAL learning is “Where the Horses do the Teaching”. All our programs our done on the ground, “out of the saddle programs”. We work with horses and at risk youth to help build self esteem, self confidence and many life skills. 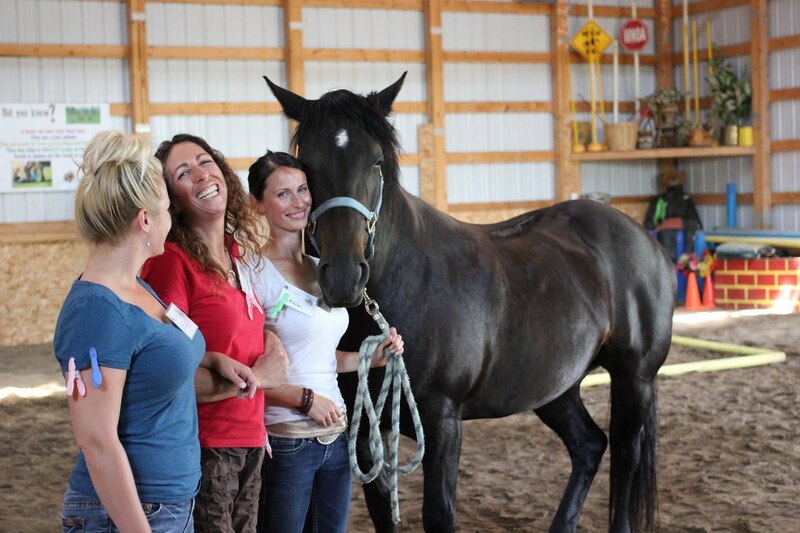 We use horses because; By their intuitive nature and innate sensitivity, horses can provide facilitators with a window into the participants’ personality. They mirror back what the participants are feeling and participants need to adjust their feelings and behaviours to work successfully with the horses. Fulmek had always dreamt of being able to work with horses to help others, and her dream began to come true when she was certified as an EAL Facilitator and built her own facility. In December of 2010 Fulmek’s mother became very ill and was admitted to hospital where she would struggle for 6 long months; Kari and her mother—Faye— had been not only mother and daughter but best friends & business owners as well. This was difficult for Fulmek, as she wanted to spend as much time helping to care for her mother as she could. During this time, Kari wondered if maintaining her business should be a priority when her mother needed her, and she worried that she might not be able pay off the growing debt of the business. For nearly 6 months Fulmek balanced her business and caring for her mother Faye, not knowing that a tough situation would get even tougher. One of Kari’s horses, Buddy, had been having problems for several days and the vet hadn’t been able to determine the cause. On June 1, 2011 Kari was preparing for an EAL session and went to her pasture to get the horses; she discovered that Buddy had passed away. While Fulmek was reeling from the loss of her horse she received a phone call from the hospital explaining that her beloved mother, best friend and business partner had passed. As if these two significant losses weren’t enough of a test of Fulmek’s strength, in the days that followed the family learned of the death of her mother’s hospital roommate and of her uncle (who was born on the same day as her mother, Faye). On top of this, another horse became ill, and one became lame. All of this adversity left Fulmek questioning if Spiritual Equine Connection was something she was meant to do. Over the next month and a half Kari learned that one of her horses, Poppy had fractured his pelvis and could no longer be ridden by Fulmek and her family and that the other horse, Charlie had contracted a rare fungal infection and would need to be euthanized. Despite all the tragedy around her, and wondering if it was all a sign to give up on her dream Fulmek decided to carry on and fight to keep her dream alive, just as her mother fought to survive for so long. She knew that her mom would have wanted her to continue to live out her dreams and to help others doing it. I then receive an email from a lady by the name of Katie who wanted me to have her horse Faye. She is explaining through this email how she not only was a rescue horse but also a second rescue horse if the fact the she almost didn’t survive a severe accident, where an actual horse shelter landed on her back in a severe wind storm and ripped her back right open from her wither to her buttocks. I am thinking to myself, not in a million years can my heart take a horse like this after all the losses I have gone through, but I have my hubby read the email, laughing and saying can you believe this?? He says, Kari, did you actually read the whole email? I’m like, sure I did, he said, you couldn’t of. So, back I go to read once again and through all this tragedy, I read on that this surviving horses name is FAYE, that was my mom’s name AND spelt exactly the same way. The rest is history. Timing is everything, God sent her to me, for my program, so that not only would I have my best friend and business partner in the spirit of a horse with me through my equine business but to help all our “youth at risks” to see that is doesn’t matter what obstacles and challenges we go through in life, there is always light at the end of the tunnel, we all have purpose and we can survive anything as long as we have the right attitude and all the skills necessary to build us stronger. As of November we also had to put down a horse Pepper who had this most incredible sense of humor and our dear Poppy, who had the fractured pelvis.